This week’s North American PlayStation Store update presents a varied range of content, with indies, Japanese fighters and big sports franchises all rubbing shoulders. Starting with the nebulous, you can pre-order MLB: The Show and Trials Fusion: Digital Deluxe Edition on PS4. 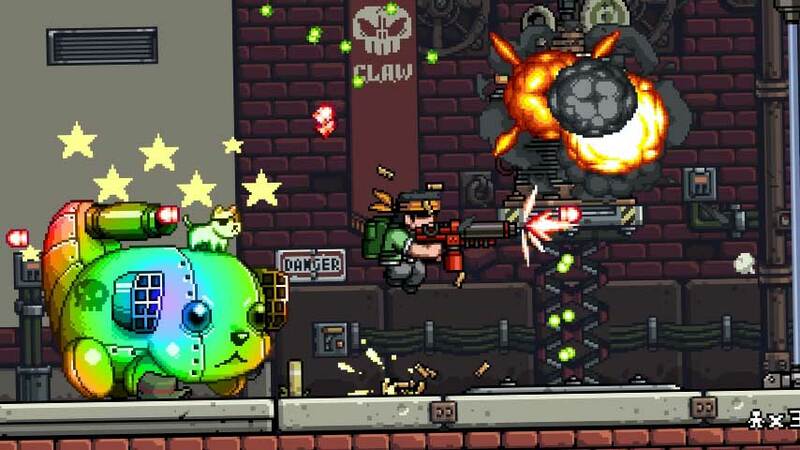 Back in the realm of the concrete, Mercenary Kings is out now on PS4, while the PS3 gets Batman Arkham Origins: Blackgate Deluxe Edition, BlazBlue: Chrono Phantasma, MLB 14: The Show, Jimmie Johnson’s Anything with an Engine and Ragnarok Odyssey Ace. The Vita gets MLB 14: The Show and Ragnarok Odyssey Ace, too, while PS2 Classic Shin Megami Tensei: Devil Summoner: Raidou Kuzunoha vs the Soulless Army is available. Grand Theft Auto 5’s iFruit app has come to Vita, too. Check out demos for Batman Arkham Origins: Blackgate Deluxe Edition on PS3; Fez on PS3, PS4 and Vita; and EA Sports FIFA World Cup Championship on PS3. PlayStation Plus subscribers score a free copy of Mercenary Kings on PS4 and Batman: Arkham City on PS3, as well as various discounts. I suppose you’d like some DLC. New content is available for Assassin’s Creed 4: Black Flag, BlazBlue: Chrono Phantasma, Call of Duty: Black Ops 2, Call of Duty: Ghosts, Dead or Alive 5 Ultimate, Killzone: Shadow Fall, Metal Gear Rising: Revengeance, MLB 14: The Show, Pinball Arcade, Pro Evolution Soccer 2014, Ragnarok Odyssey Ace, Rocksmith 2014 and South Park: The Stick of Truth. For full update information including prices, sales, price changes, avatars and themes, please visit the PlayStation Blog.